Clayborn's Towing has been serving the midlands of South Carolina since February 2002. Our hours of operation are from 7 AM to 7 PM Monday through Saturday. Kids just want to have fun in these quality playhouses. Each design is rugged and built with quality to last. A large variety of carports. All shapes, sizes, and colors. Gazebos built by the Amish. Quality workmanship goes into each gazebo. Hand made Amish furniture is also available. 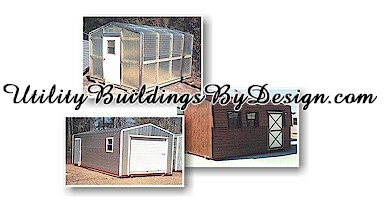 Affordable utility buildings come in many shapes and sizes. Quality workmanship is put into each building. Tractors and Toys of All Kinds... see what we have!